Red Wheel ∕ Weiser Online Bookstore | How to Photograph the Paranormal by Leonore Sweet, Ph.D.
Light forms are mentioned in literature on angels, aliens, UFOs, ghosts, crop circles, near-death experiences, inter-dimensional beings, magick, and thought forms. Hypnotized subjects describe the lights as the forms we become between lives on Earth. Starting out as a novice photographer, the author captured the apparent spirit of her sister's dog. That began her great adventure into researching orbs, vortexes, and ectoplasms that are appearing in pictures worldwide. In this book, you will learn as she did how, when, and where to photograph and interact with these intelligent life forms. How to Photograph the Paranormal has something for everyone--from the simply curious to ghost hunters and paranormal researchers. 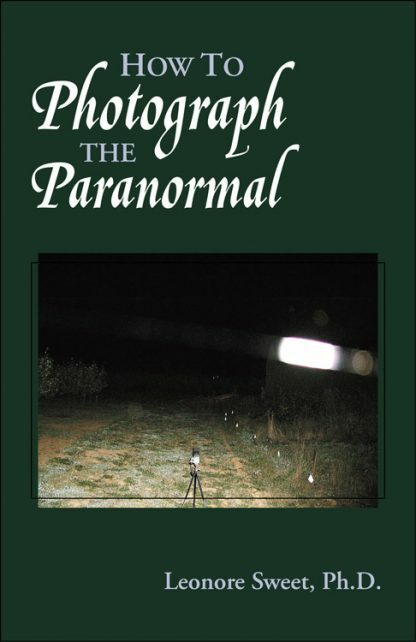 The book features dozens of original paranormal photographs--many in full color.